Who in their right mind would want SEO in Lisburn? Serioulsy… as a business owner, you have much bigger fish to fry. 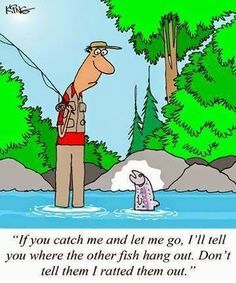 You’ve Got Bigger Fish To Fry! I now you have way more on your mind than taking calls from some guy who wants to talk about your website and where you rank on Google. Right? You have bills to pay. Customers to service. Products to get delivered. Orders to fulfil. Employees to manage. The VAT man coming. the rates bill…. and a million other things. With all that – it’s no wonder you have no interest in SEO. You haven’t even got time to listen to what it means. I know. I’ve been in your shoes. You’re doing your best to juggle all the 101 priorities – this SEO stuff is just noise in the background. For me, when I had employees, I had one eye on the work in hand – making sure it was getting done properly, that the customers were always happy – and that we were getting paid. The other eye I had on the new business enquiries coming in. Getting the leads and converting them to sales. My business was very profitable, but it work slowed down – it wouldn’t take long to burn my cash with the overheads that still had to be paid – busy or not. I’m not gonna claim that I can change your business overnight – that would be stupid. Some people make stupid claims. But what if I could help by getting you more new business enquiries? Let’s err on the conservative side – and say I could only get you 10-15% more leads…. Think about the effect that would have on your business – or just you… Yes, it would make the business a lot bigger. Just using these conservative numbers – you’d see a 33% increase in sales. This is the effect that SEO in Lisburn could have on your business. However – we look at the big picture. SEO is not the only way to get customers. We run Facebook advertising campaigns for local businesses. These are really effective for bringing in new enquiries – and cost effective too. We develop and implement marketing funnels – to help you convert more of your enquiries into customers. We build re-marketing systems and referrals systems – to get more of your customers coming back and referring you to their friends, family and co-workers. If you’re interested in reducing your work load – getting some help with the marketing of your business – get in touch. Even if it’s only for a chat and some ideas.